Summer is my favorite season of the year. It's restful, fun, and rejuvenating. In farming terms, it's the time when the crops are growing, and the harvest is soon to come. If you're a farmer, you can't just plant your seeds in the spring time and just show up in the fall and expect a harvest. You might have a select few hardy plants that survive without tending, but for the most part, you're going to have a complete loss. Sometimes it's like that for educators in the summer. When I started homeschooling, I soon realized that I would be the one experiencing the dreaded educational backsliding that happens over an extended break, and I would have to be the one to reteach those elements. That didn't seem enjoyable to me. 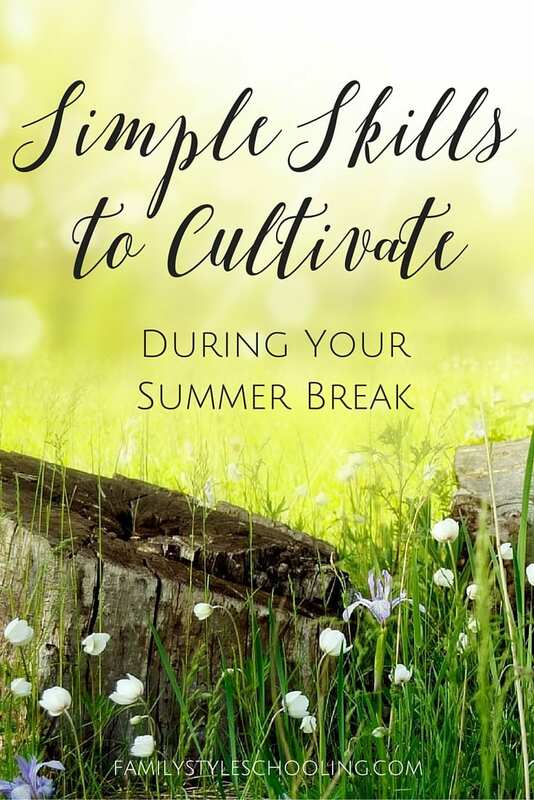 Although I'm not ready to school all year round, I do like to focus on some skills to cultivate over the summer in fun ways to keep that backsliding to a minimum. Summer reading clubs are a great way to keep your student's reading skills moving in the right direction over the break. Check your local library to see if they offer some kind of incentives for reading a certain number of books or minutes. It's so easy to turn the kids loose to screens and movies. I want a break too, and sometimes electronics can make amazing babysitters. Again, my goals are to cultivate thinkers, and I don't want them to stop thinking...especially as they sit and soak in propaganda! What am I thinking?! If we can do math at least three times a week for thirty minutes, I would be one happy momma. You can never have enough practice with math. 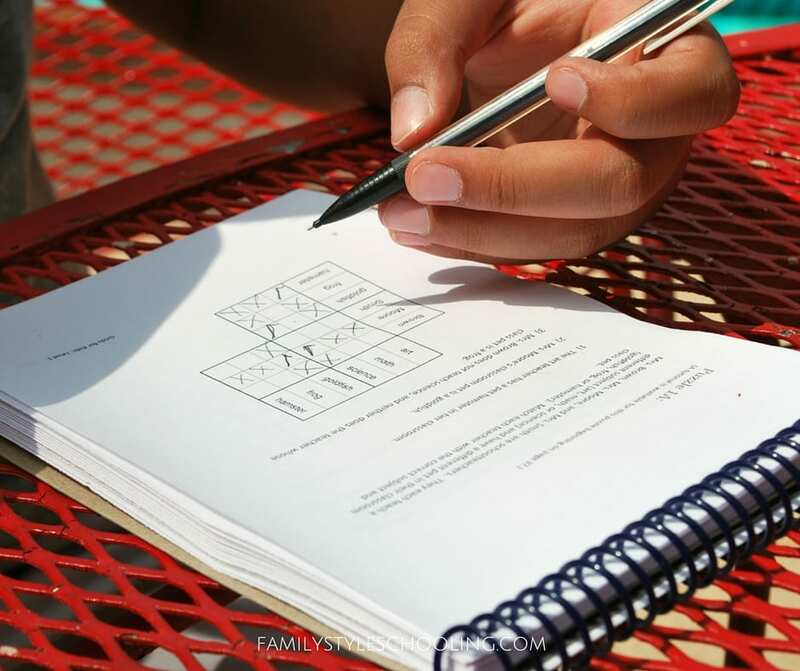 This could look like continuing in their math books through the summer, giving them speed drill tests on math facts, or enjoying a little Life of Fred. When I was a kid, I loved logic puzzles. They are such a great way to get your mind active and solving problems. 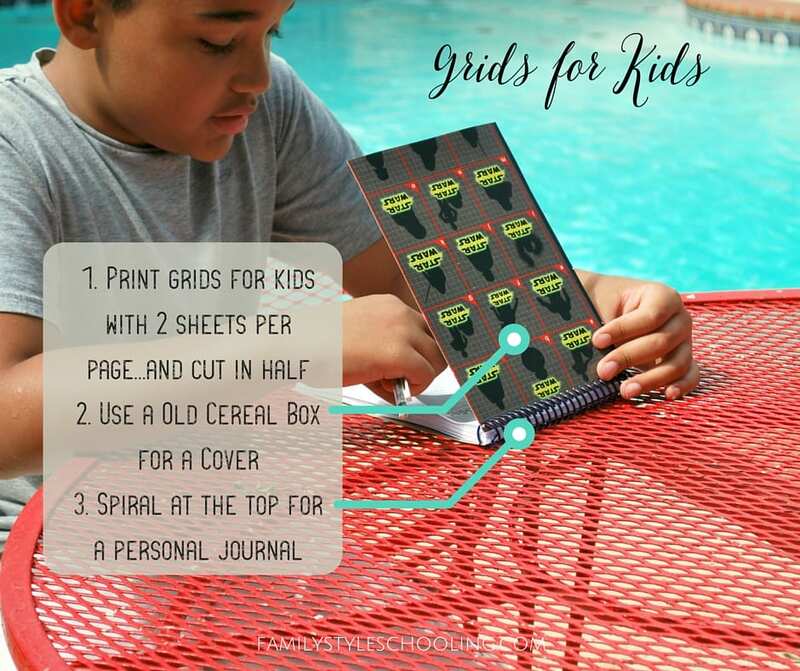 Recently I ran across these great downloads called Grids For Kids. They introduce students to how to solve them, and offer tons of puzzles to solve! They come as PDF downloads that you can print. I adjusted the size when I printed to fit two pages per sheet, and then cut the pages in half to make a fun little journal. I added a cut up cereal box to the front and spiraled it to make it easy to take with us in the car, or as a poolside break. You can also slip the sheets into sheet protectors if you'd like to have them reusable for the whole family. The ability to observe is a skill that supports every pursuit of learning. You need to be observant to be a great scientist, writer, mathematician, engineer, or parent. I think one of the best ways to cultivate observation skills is through art. We have found great success with this in nature journaling. Even though we don't go out and draw every single day, I've found that giving my kids time to focus on this skill makes them want to practice it more. It doesn't even have to be a super serious subject to create a great opportunity for observation. There are so many great online classes from Craftsy that you could use to cater to your student's interests and give them something to occupy their summer time. The seeds have been planted during the school year, so the summer doesn't have to be full of planting new ideas. But you do need to tend to the crops, and keep them alive so that you can enjoy the harvest in the fall when school starts back up again! I’m curious about the Grids for Kids you mention, but when I click on the link, it sends me to a page for the Life of Fred books. Whenever you have a minute to update that link, I’d love to check it out. Thanks for the great ideas! Sorry about that Danielle! I updated the link. It should take you to the right place now! This is a great list! Thank you for all your efforts to maintain a beautiful, useful blog, Betsy. You are very gifted. Couldn’t agree more-while a little review to get back in the groove when school begins again is okay, re-teaching entire chapters and skills-no thank you! We continue math but I really like the idea of a take along logic puzzle resource. Great road trip idea-thanks for that! I am unable to open the gridforkids link or the recipes for family life link. Thanks for letting me know! I updated the grids for kids link, but the other website is no longer active. Blessings!